Ithaca follows the story of Homer’s Odyssey through the eyes of Odysseus’s son Telemachus. Sixteen years old, Telemachus has grown up on Ithaca without a father, desperately trying to protect his mother’s honour and his family’s wealth from the rapacious fighters who threaten them. 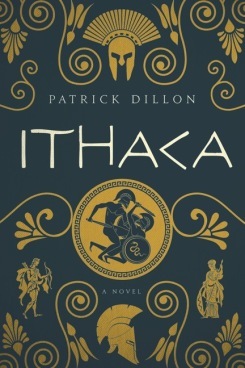 Vivid in its descriptions, and sensitive in its portrayal of a growing boy forced to take on responsibilities beyond his years, Ithaca takes readers on a journey through bronze age Greece in the chaotic aftermath of the Trojan War. I Telemachus never met his father. Odysseus was a famous fighter, the chief of his island, Ithaca. Before Telemachus was born he left to join a great war – and never came back. Sixteen years on, Odysseus’s house is overrun by young fighters chasing Telemachus’s beautiful mother, Penelope. They were respectful to start with. Now they’ve overrun the house, and Telemachus is his mother’s only protector. He’s a child, he can’t cope, and he knows it. At last he makes a desperate decision: he has to leave Ithaca to find out what happened to his father. So begins a journey through Greece, across a brutal land living through the traumatised aftermath of the war. Telemachus hears no news of his father, but he learns a lot about himself. He learns to fight, and meets a girl, Polycaste, who shares his scorn for the “code of honour” that fighters live by. At the end of his journey, Telemachus reaches a decision: he must go home to Ithaca, declare his father dead and stand on his own feet. II On an island colony, far to the west, a stranger is washed ashore. He’s been drifting on a raft for days. The colonists’ chief, Alcinous, takes him in. But he distrusts his guest, as he distrusts all the wandering, bragging fighters who infest Greece. The stranger says he is Odysseus of Ithaca, and tells the extraordinary story of what happened after he left the war, eight years before: a tale of storms, giants and enchanting women. 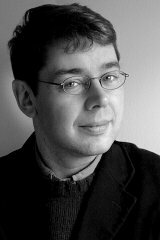 Alcinous hardly believes a word of it – he’s heard enough fighters’ tales. But he does pity this ruined killer who has lost his followers, his strength and wealth. And he offers to send him home to Ithaca. III Telemachus returns to Ithaca only to fall into a trap. The young fighters who are chasing his mother have laid an ambush he barely escapes. Swimming ashore, he takes refuge at the home of an old supporter – and finds his father there. But this isn’t the powerful father he’s always dreamed of. Odysseus, chief of Ithaca, has turned into an old beggar, crushed by his travels. Telemachus knows the young men will kill him as soon as they get the chance. So he and his father concoct a plan to declare Odysseus dead and attack them at the funeral. Will his father have the nerve to carry it through, though? And will Penelope recognise the wreck of her missing husband? Will she still want him after years of betrayal? It’s Penelope, in the end, who takes control of the situation. Ignoring her son, she sets the men a test. There’s a hunting bow only Odysseus could draw. Penelope promises to marry any man who can string it. One after another, the young men fail to draw the bow. Odysseus manages to string it, though, and so begins a desperate, vicious fight in the hall of Telemachus’s home – a fight that ends with the invaders dead and Odysseus restored to his place. Telemachus has proved his courage and his worth, but he feels no pleasure in the victory. His father ruthlessly cleans out the house, slaughtering servants who failed to support him. Telemachus doesn’t want to be like that. Through his childhood, he’s learnt to despise the violent code that fighting men live by; he won’t turn into one of them. So he gathers some companions and sets off, first to find Polycaste, and then to sail west to a new life as a colonist, far from the slaughter of Greece. "Dillon’s vibrant retelling… is as rich as it is complex. This is a smart and highly readable adventure, and a fresh take on a classic story." "A vibrant retelling of The Odyssey … The book deftly chronicles the 16-year-old’s feelings of abandonment, humiliation, and anguish …as rich as it is complex. This is a smart and highly readable adventure, and a fresh take on a classic story." "Dillon’s done an excellent job of reimagining The Odyssey… Smoothly told and suspenseful … invites a sequel." "An extraordinary reimagining … daring and completely successful. The prose is at once spare and rich, the descriptions intense and compelling. This is a book not to be missed."